We can help you fuel business-led transformation and grow your business. Innovation, technology-led disruption, convergence and data and analytics are reshaping the banking industry. These forces are driving dramatic change, and banks must decide if they will lead the change, follow fast or manage for the present. As banks look for opportunities to drive growth, they should focus on transforming their business lines, channels and products — while balancing continued regulatory scrutiny and the growing threat of disintermediation. Leading banks will have a clear sense of the path ahead, and success will arise from a balanced execution of tactical initiatives and longer-term transformation and growth strategies. In building Korea’s first mobile-only bank, kakaobank questioned the purpose of a banking business and created a people-first proposition. What’s more important: knowing the sector or knowing the customer? 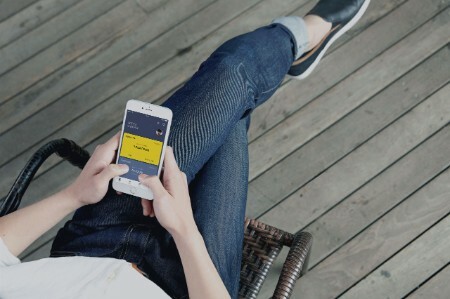 kakaobank is transforming banking in South Korea by creating customer-first experiences. In July 2017, a new mobile-only bank was launched in Korea. In the first 24 hours, it had attracted more than 300,000 subscribers. Within a fortnight, it surpassed two million customers, amassing ₩1 trillion (US$930m) in savings and providing ₩770 billion (US$701m) in loans. Today, it is well on the way to having 10 million customers, that in a country of just over 50 million people (economically active population is 25 million). This is the story of the staggering growth of kakaobank. Formed by the company behind South Korea’s hugely popular Kakao Talk messaging app, the rapid rise of the new, separate kakaobank digital-first bank was the result of looking at banking in an entirely new light. 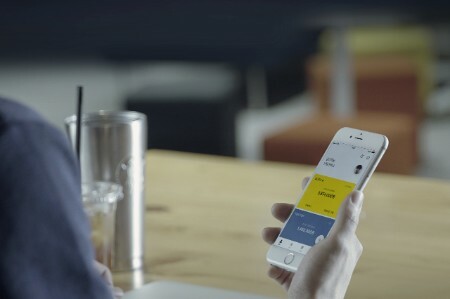 By constantly asking: “what is the purpose of a banking business?” and by applying digital-first thinking, kakaobank is transforming banking services in South Korea — and driving innovation in the banking industry. Examining the existing banking landscape, EY and the kakaobank preparation team — made up of a number of key shareholders — identified that there were many Koreans who were not using many banking products and services because they had not been designed in a customer-centric way, and were often very difficult to use. And market research by the EY FSO Advisory team in Seoul found that price was a driver of Korean banking customers switching providers. Creating a significant cost differential was therefore another important consideration. Traditional banks spend large sums on their operational costs. Some banks can see up to 60% of their outgoings spent on branch operations and back offices. The kakaobank team wanted to strip away these costs and then share the benefits with their customers. Indeed, a key part of bringing the Korean financial regulator on board to issue new digital bank licenses was to demonstrate the benefits that could be passed on to the public. So important was running a lean business that the kakaobank team even ruled out creating an online banking service, seeing it as unnecessarily expensive. This decision was reflective of the EY and kakaobank approach throughout the development process. Through a digital-first and cross-functional approach, EY and kakaobank are helping to prove a digital-first banking model in South Korea. Starting with a blank sheet of paper, the kakaobank preparation team worked with EY to develop and implement a strategy to create and launch a different type of bank. Building a new kind of bank is not merely about beating your rivals’ rates. It is about rethinking how people use banks in the 21st century. For these users, everything is mobile and on-demand, available whenever and wherever. 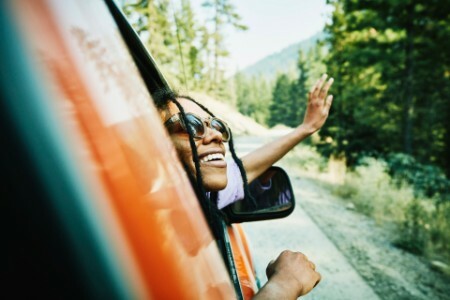 The EY and kakaobank teams channeled this mindset and transferred it to the banking world to develop a new banking app that borrowed the customer-centric characteristics of Kakao Talk to transform banking. The EY FSO Assurance and Advisory teams and kakaobank in Seoul worked closely with the EY Technology services in Hong Kong under James Lloyd, EY Asia-Pacific FinTech Leader; as well as with the Korean regulator to prove that you can leverage new technologies to actually improve know-your-customer (KYC) benchmarks. The trouble was that customers weren’t comfortable using selfies to open bank accounts and didn’t really see the benefits. EY worked with the kakaobank team to demonstrate that a different approach to e-KYC could create a much better customer experience. Using these new systems, prospective kakaobank customers can now open an account in 7 minutes, compared to the average 20-30 minutes at other banks. The EY Assurance team also worked closely with colleagues in China, the UK and the US to better understand data privacy, cybersecurity and anti-money laundering requirements. Similarly, the EY Tax team made sure that kakaobank’s tax function would be able to address the twin demands of regulatory compliance and enabling sound reporting. “Like many of its emerging technology peers around the world, Kakao views its business from an activation first, monetization second perspective,” says Kim. For kakaobank, this created a challenge: there were differing opinions within the shareholder group on what the business model should be and when to monetize. Digital disruption is driving industry convergence and helping to meet customer demands, for kakaobank and beyond. The collaboration of EY and kakaobank has resulted in millions of customers having convenient access to a bank in the palm of their hands. A million people signed up in the first five days of the bank’s launch in July 2017, boosting Kakao’s share price by over 8% — and demand has continued to rise, with new services being prepared for roll-out to meet demand. With the ability to manage their finances and get personal loans and international money transfers at low-interest rates and commission fees, it’s no surprise the success of kakaobank has prompted many other technology companies to look at creating their own financial services businesses. Digital disruption has blurred the lines across most industries and the banking sector is no exception. “There has been a lot of inertia in banking,” says Bellens. “Traditional banks have benefited from the fact that, frankly, there were not a lot of better alternatives.” Emerging technology companies, from social media firms to e-commerce platforms, have seen the inertia in traditional banking and want to challenge the status quo. Bellens continues, “There's already quite a number of clients that have come to us, based on the kakaobank success, asking for us to help them build something similar. “We’ve helped and are helping several banks get better at digital.” Interest has extended beyond Southeast Asia to the Middle East and even to the bastion of traditional banking — Wall Street. EY insights on digital transformation can help you unlock new value and create the enterprise of the future. Featured: How can you disrupt today’s financial crimes with yesterday’s technology? Unlock the advantages of the digital era to harness innovation, drive operational efficiencies and grow your business. The global payments industry is undergoing major change and transformation, driven by changing customer demands. Our global network and proven expertise can help you manage the disruption along the entire value chain within cards, payments, digital commerce and digital convergence. Open banking is a disruptive force in the financial services industry. It will change how consumers engage with their banks and financial services providers, introduce new channels and promote innovation and competition in financial products.